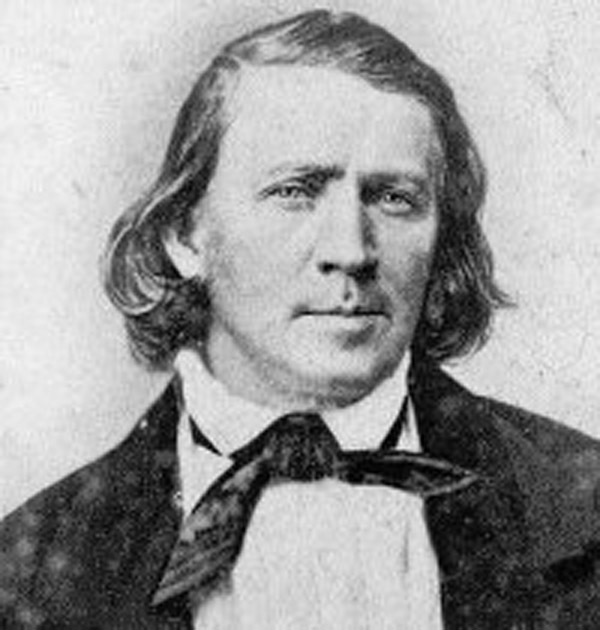 Thomas Rhoads, one of the earlier converts to Mormonism (1834), led the first expedition of Mormon settlers to northern California in May of 1846, whereupon arrival in October of that same year he settled near Sutter's Fort along the Consumnes River. 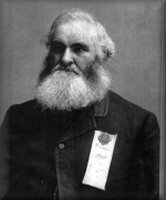 Thomas Rhoads then went to work for, and became a close friend of, John Augustus Sutter, famous for the discovery of gold at his mill site. Much of Rhoads' early fortune came from mining the gold-rich fields along the Sacramento valley. In 1852, Thomas Rhoades was commissioned by President Young to salvage hidden gold known to Ute Indians. Chief Walker (Wakara) who had been baptized a member of the church, reportedly agreed to reveal the location of the gold as long as it was used exclusively for the benefit of the church. The site of the mines was called "Carre Shin Ob," or "There dwells the Great Spirit," Thompson recounted. Indians had no particular interest in the gold beyond their basic needs and harbored old resentments against Spanish overlords who had mined the metal at the expense of their race, he said. Walker's conditions were that only one person at a time know where the mines were, that Indian surveillance be constant and that only as much gold be brought out each trip as the individual could carry. The death penalty was to be executed immediately if the secret got beyond the chosen person. 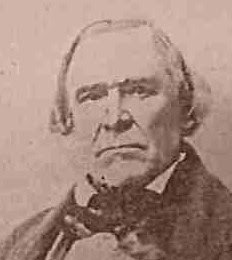 President Young demanded in turn that Walker, whose loyalties were known to be chancy, take an oath upon the Book of Mormon to hold up his end of the bargain. According to the family account of Gale R. Rhoads, a grandson, Thomas made a number of trips into the mountains with an Indian guide. The gold supposedly was from mines abandoned by Spanish entrepreneurs who were in the territory before the 1776 Domin-guez/Escalante explorations. Each of Rhoads' trips took about two weeks, and the first load of gold, the family records say, weighed about 62 pounds. The Deseret News frequently reported his comings and goings, without details regarding gold, if any. In the summer of 1855, Thomas had a severe illness and a son, Caleb, signed the oath and took over the job of recovering the Indian gold. When Thomas was well again, father and son took several trips together. Walker himself died in late 1855. The Rhoads records say that the statue of the Angel Moroni atop the Salt Lake Temple was overlaid with the Indian gold, as were some of the trimmings inside the temple. In December 1855, Rhoads obtained a land grant from the Territorial Legislature for a huge area known today as Kamas Valley. "